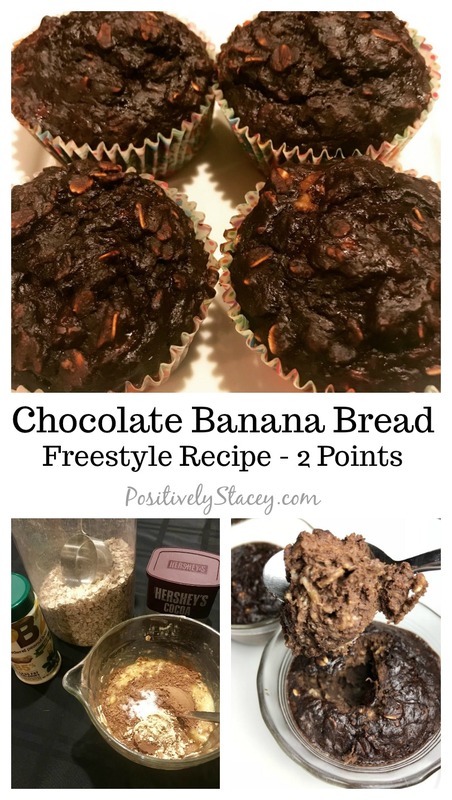 This chocolate banana bread Freestyle recipe has become a family favorite in our home! Wow, a chocolate muffin that is moist, chocolatey, and only two points! 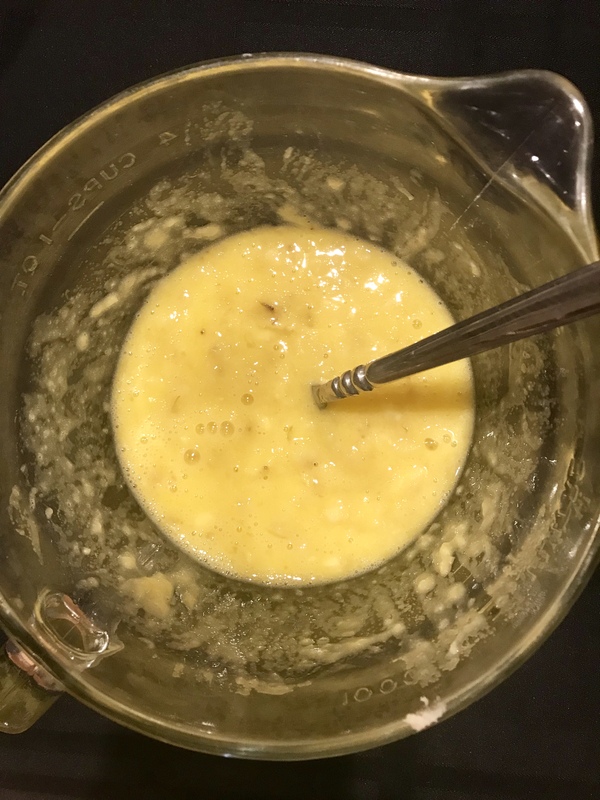 It is only two Freestyle points because the base of the recipe is one banana and one egg. Not only is it absolutely delicious, it is easy to put together and pop into the oven. So much so that we make them often! 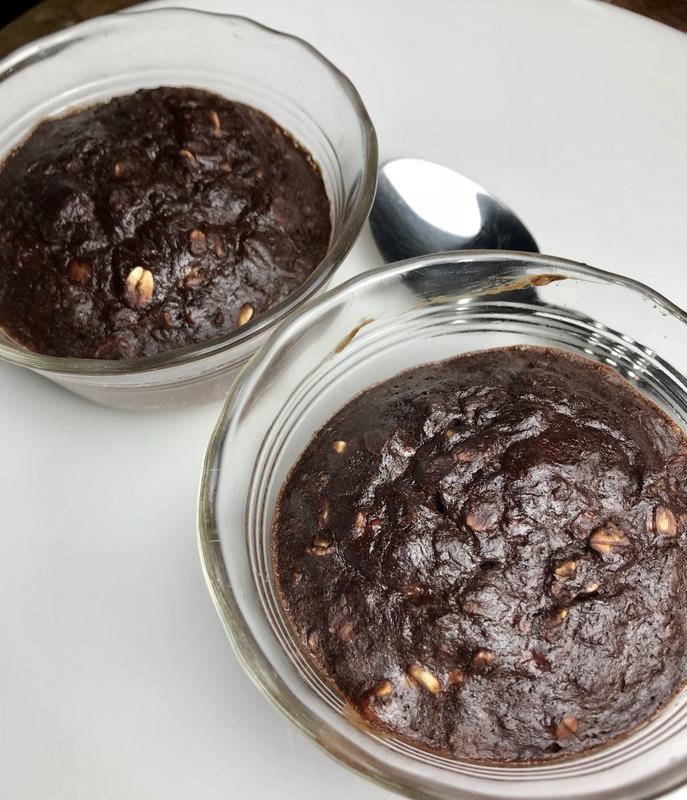 My husband and I have been enjoying these after dinner a couple of times a week for the last few months – ever since I discovered the recipe at a Weight Watchers meeting. Then I realized something even better about these treats! 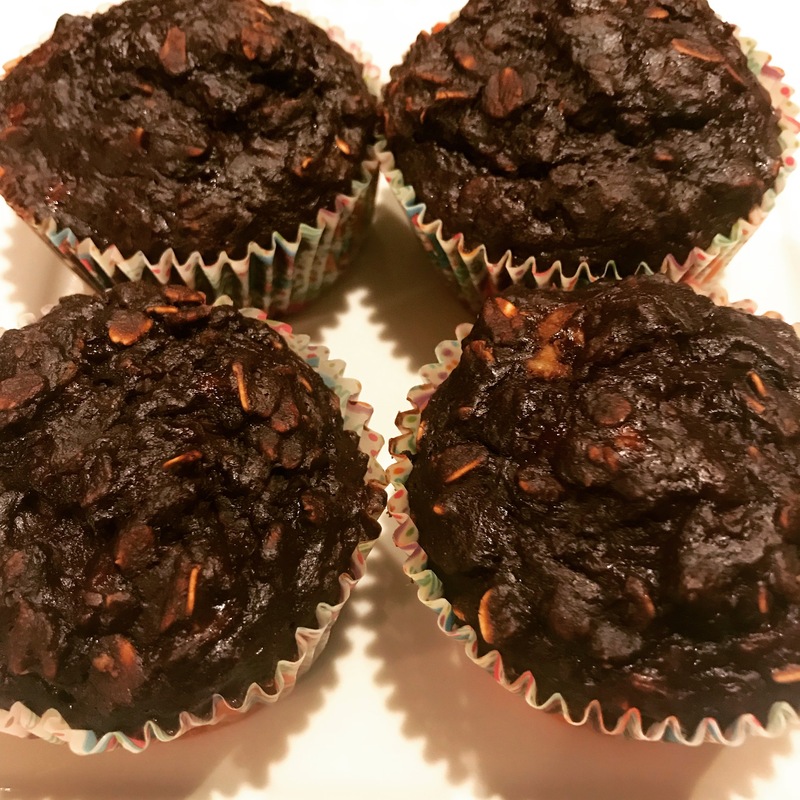 My stepson who is allergic to all things dairy can totally enjoy a super chocolatey version of this muffin! 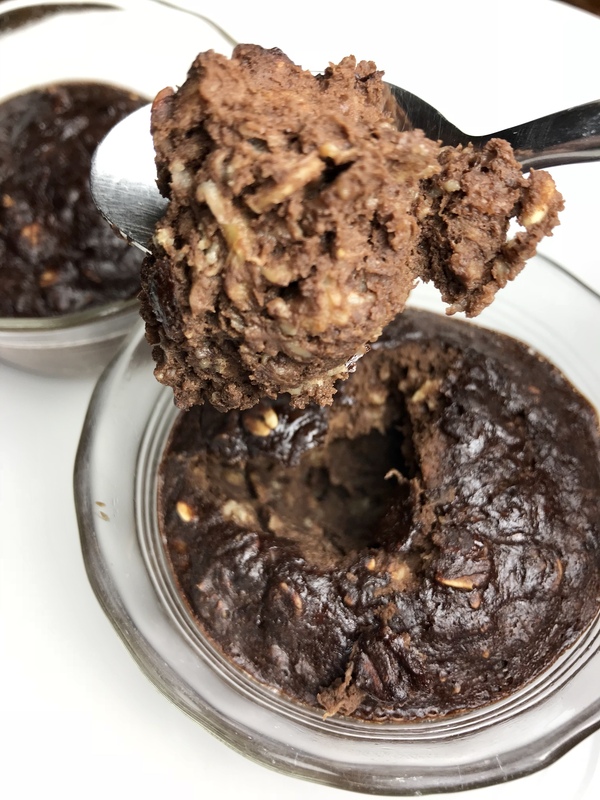 This recipe is both dairy-free and wheat-free! When Dom was home from college for Spring break, and I was busy readying chocolate Easter treats for the other children, I looked at Dom and had an ah-ha moment! 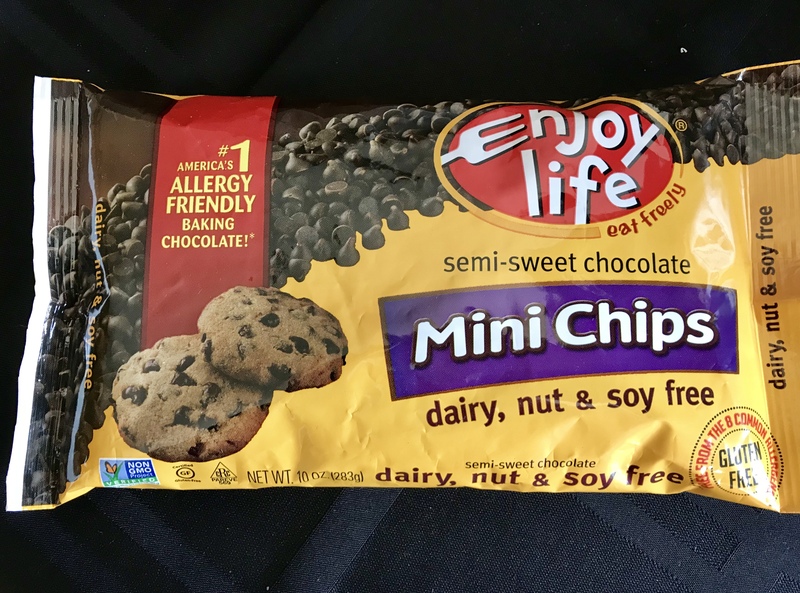 With the addition of dairy-free Enjoy Life! mini chocolate chips, this would be a yummy super chocolatey treat that he could enjoy! Enjoy he did! I ended up making a big batch for him to take back to school with him. Yes, they were that good! This recipe calls for PB2. PB2 is a dried peanut butter powder that when you add water and stir makes up a peanut butter. You find it in the peanut butter aisle – usually on the top shelf. 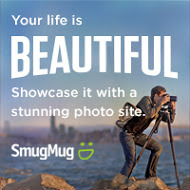 I have grown to really like and appreciate this product! For this recipe, you just add the powder. 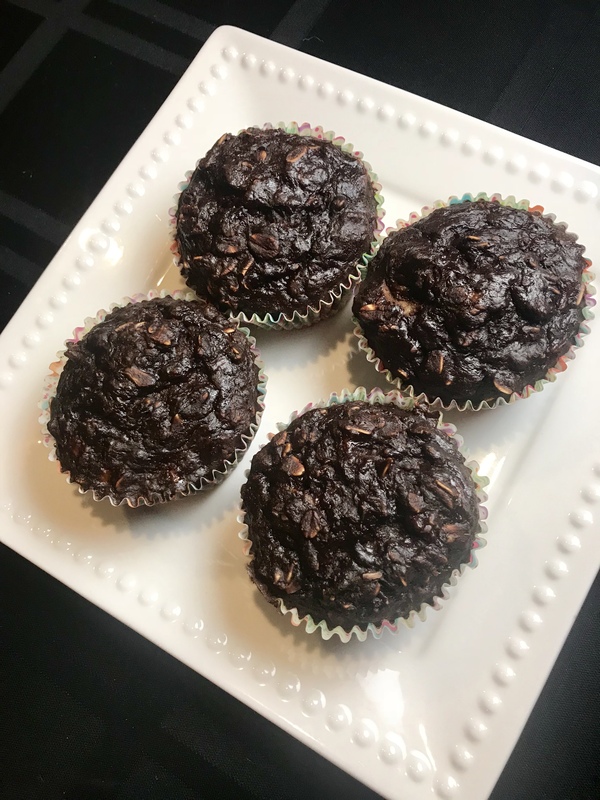 Makes two muffins that are two Weight Watchers Freestyle points each. In a bowl, mash one ripe banana. Spray 2 ramekins or cupcake liners with cooking spray. I prefer them in ramekins, but since I only have two – I use the cupcakes liners when I make a larger batch. Divid batter between the two ramekins. Bake at 350 degrees for 23 – 25 minutes. Do not over bake. 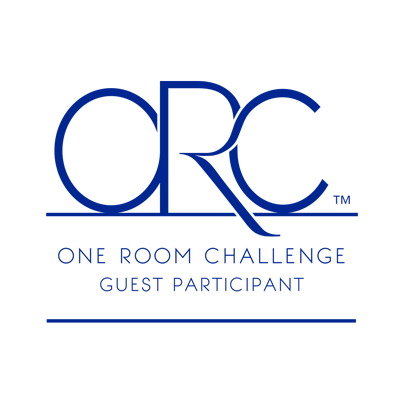 Notes: I have made up to a dozen at a time! When you double and triple the recipe, it actually expands! 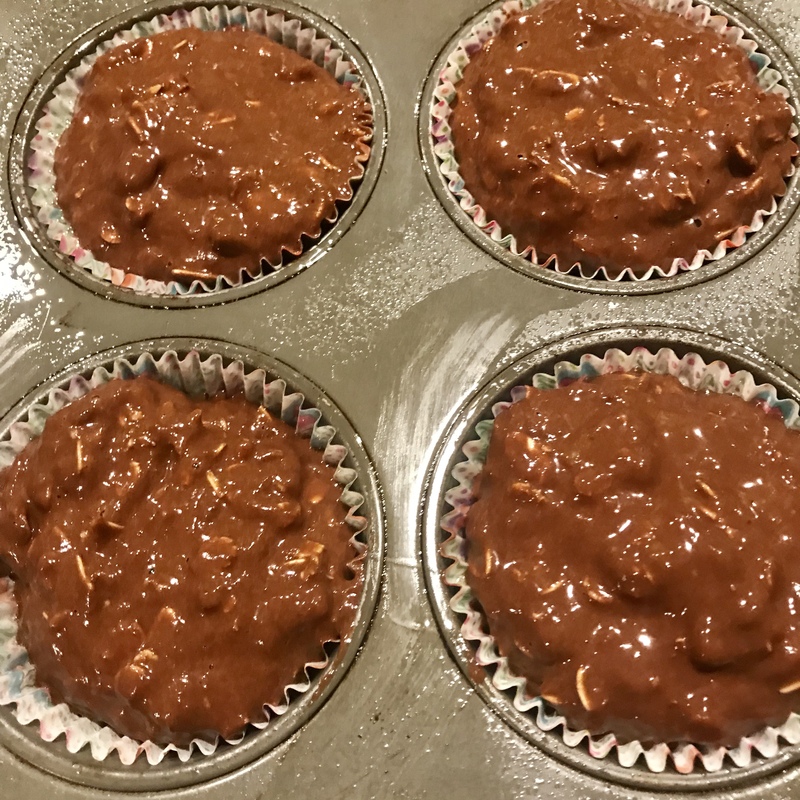 When I quadrupled the recipe, instead of making 8 muffins – it made a dozen! They freeze well, but they need to fully thaw. If you try to enjoy it before it is fully thawed, it has a hint of a frozen banana consistency. 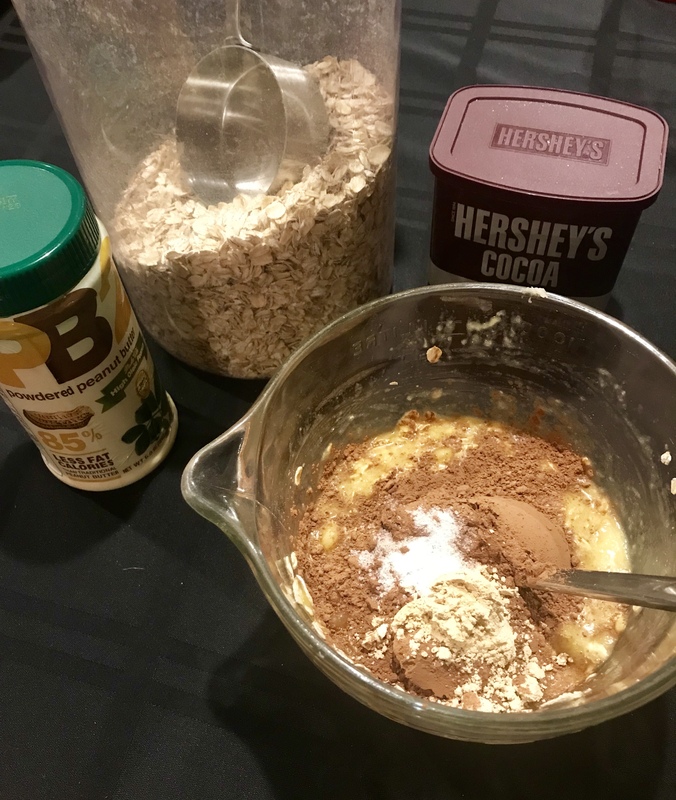 Weight Watchers Freestyle Points: The ingredients that count towards the Freestyle points are the oats (2 points for 1/4 cup) and unsweetened cocoa powder (1 point for 2 Tbsp.). Making each muffin 2 points (rounded up). Spray 2 ramekins or cupcake liners with cooking spray. Bake at 350 degrees for 23 - 25 minutes. Do not overbake. 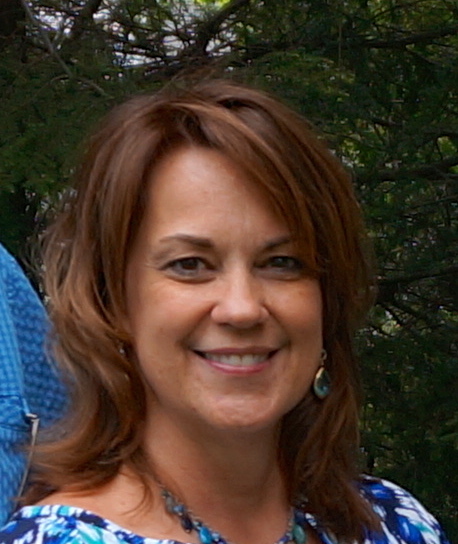 In full disclosure to all of my reading friends – this post contains affiliate links. Which means should you choose to click on a link and purchase this product from Amazon, I will receive a very small percentage of the sale.